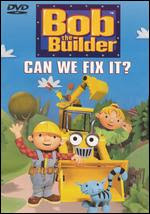 Bob the Builder might need a new gig. Fannie Mae, (the largest guarantor of mortgages) predicts that, by 2010, there will be 32 million female homeowners. I would like to go on record as saying I am not sexist! 🙂 The following list of 12 items is mentioned as “common tools to aid women in fix-it projects.” In my opinion, they are just handy things to have around any home! 2. Screwdrivers – 1/4 & 1/2 inch flat head and No. 1 and No. 2 Phillips heads. 3. Pliers – Vice grips, needle nose, slip joint and standard pliers. Everyone should keep their home in good repair. Routine maintenance items can turn in to large and costly projects. Stay tuned for more maintenance and home repair articles in the future. As always, feel free to contact Nick for any help/advice.